IF YOU ARE INTERESTED EMAIL ME AT: joesphjggalbiso@ukbe.com . 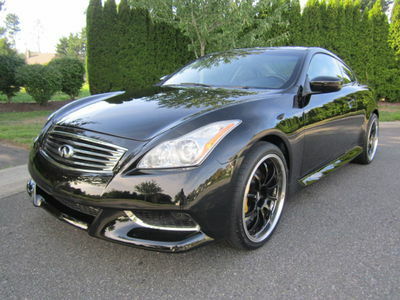 2010 Infiniti G37 Twin Turbo Sport Coupe 6 -Speed **Over 80K Invested / 31K Miles** Performance enthusiast owned, 500 H.P. Twin Turbo G37 Coupe Sport "Anniversary Edition* 6MT Super Mod. Fully optioned including navigation system with only a mere 31, 000 Miles Obsidian black over black leather. 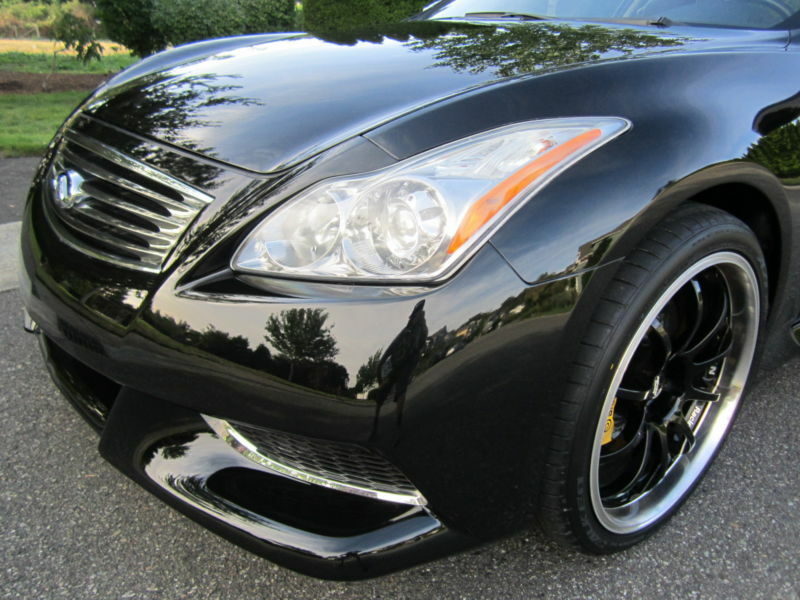 exceptionally cared for with excellent maintenance since new. Never raced or driven hard. Always garaged and kept out of the elements. West Coast owned, Carfax 2 owner vehicle. Over $40 K invested in modifications including: Greddy Bolt-On Twin Turbo kit MXP-SP Exhaust with mufflers deleted M-7 Japan Electric Boost Controller Brembo GT-R Series "Big Brake Kit" 6 Piston Calipers Front 4 Piston Calipers rear with Brembo stainless brake lines and 2 piece rotors Password JDM Gold Fender Washer Dress up kit SX/EX/CX Custom made aluminum coolant reservoir Anniversary Edition Samco Yellow Radiator Hose set 20" ADVAN RS-D Performance Wheels Circuit Sports Oil Relocation Kit w/ AUX Front Mounted Engine Cooler Brand new Falken Azenis Tires Enough said, this car is one of a kind showpiece and an absolute beast, nearly pushing 200 MPH with phenomenal handling and power. Clean title, all factory paint and a absolute award winning looker. An absolute blast to drive or perfect for your car collection. Complete with factory books and both set of keys.